Rev. Janice Hope Gorman was born and raised in Mankato, Minnesota. She is happily married to her best friend of 33 years, Dr. Paul Gorman. They are blessed with five children and six grandchildren. Rev. Gorman has a Bachelor of Science degree from MSU and she is a Licensed Chemical Dependency Counselor. She was ordained by the National Interfaith Seminary and she is a Certified Oneness Blesser of Deeksha’ from the Oneness University of India. She is the Founder and the Director of the Hope Interfaith Center, which is 501(c)(3) Spiritual Wellness Center located in Mankato, Minnesota. The mission of the Hope Interfaith Center is to inspire all in Oneness to create a better world by empowering people to recognize and honor the Divine in self and all. “Hope”, as many people call her, was given that name by one of her early teachers – Hope means “Help Open Planetary Eyes”, which is the foundation of her work. Her vocation is mainly focused on spiritual teaching and mentoring to help people realize their own magnificence and personal power. She is passionate about the profound spiritual awakening, which is the hallmark of these times; that we are all ONE. Her teachings are universal in nature and do not represent the beliefs of any one religion or spiritual practice or movement. 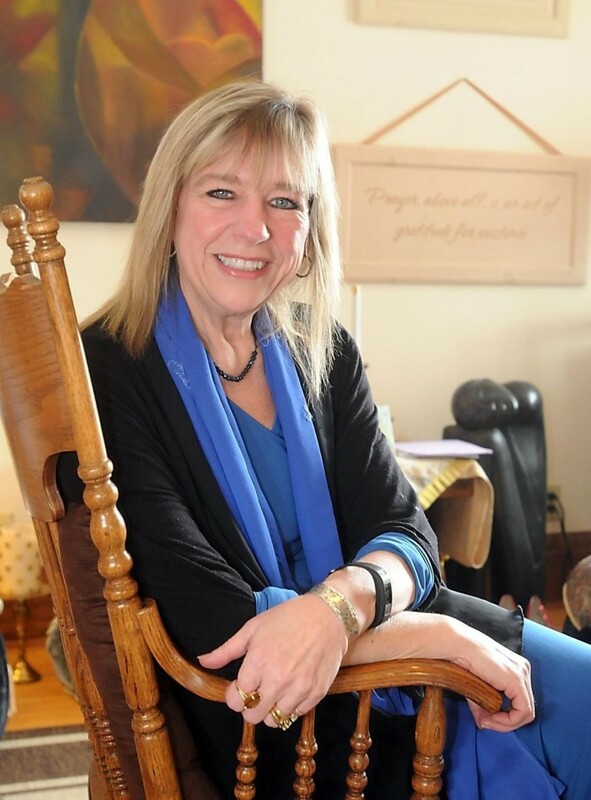 In addition to one-on-one spiritual counseling, she offers a yearlong leadership program for people who are called to become Ordained Interfaith Ministers. Hope was awarded the YWCA Woman of Distinction. This award recognizes prominent women in the Greater Mankato community who have lived the goals and mission of the YWCA, which are to eliminate racism, empower women, and promote peace, justice, freedom, and dignity for all. She is on the Board of the Diversity Program for the Mayo Chaplaincy Program. 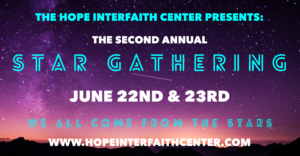 Hope is also a member of the Interfaith Symposium Group, which promotes an awareness and understanding among religions of all faiths. And, she has begun a program called WOW – Women of Wisdom, dedicated to helping women to work together toward the greater good. She has played the role of activist all her life. Bringing people together to empower them and to give them a safe place to speak up and cultivate a connection with other women that will be powerful. She understands the importance of healthy partnerships with woman. They stimulate her and encourage her to be her most powerful self! Hope also hosts The Pure Hope Show, which is broadcast monthly through an online radio network called Blog Talk Radio. She has hosted over 35 episodes, which include interviews with healers and teachers from several different countries as well as from the local community. The live and archived episodes of the Pure Hope Show have accumulated over 24,000 listens since the program was launched in March 2013. Ten years ago, Hope started the “Peace Pass It On” Peace Pole Project. Peace poles have been planted in the Mankato area as well as in France, Israel, and Palestine. The Peace Poles promote peace and positivity to all who connect with them. Janice and the Hope Interfaith Center were awarded The Kessel Peace Institute’s Peace Award. This Peace Award honor individuals and organizations in the community that promote social justice and peace. She is an incurable world traveler and has taken groups of people on pilgrimages to Egypt, Israel, Palestine, Turkey, Mexico, Belize, Peru and France and Cuba. Hope is truly grateful for the opportunity to live each and every day doing her life’s work and she is deeply committed to continuing to do it with the same passion and dedication that she had when she first began.